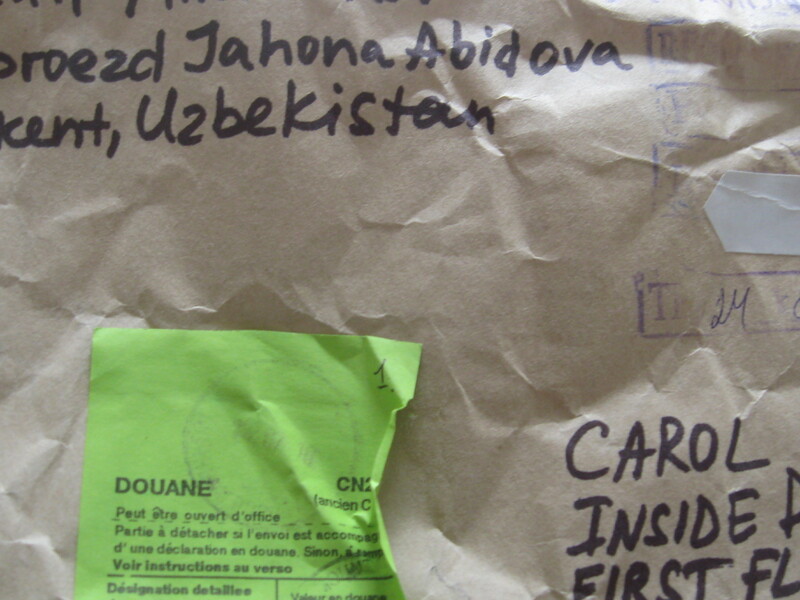 today I received my parcel today from Tashkent, Uzbekistan !! How exciting, ripping open the brown paper and wrapped inside in a plastic carrier bag, was my precious suzani, a hand emmroidered cloth I bought on ebay. I have another one coming that is similar colours but a slightly different pattern, the two together plus some plain fabric i am going to create wonderfully coloured wing chairs that will sit at my new desk. Actually its a long trestle table, in aged silver oak, over 3m in length at which I can sit and create, write letters and eat breakfast as it looks out across to the common. A suzani for those who may not know is a hand embroidered cloth, usually sewn in panels and joined sewn together to make a large piece. 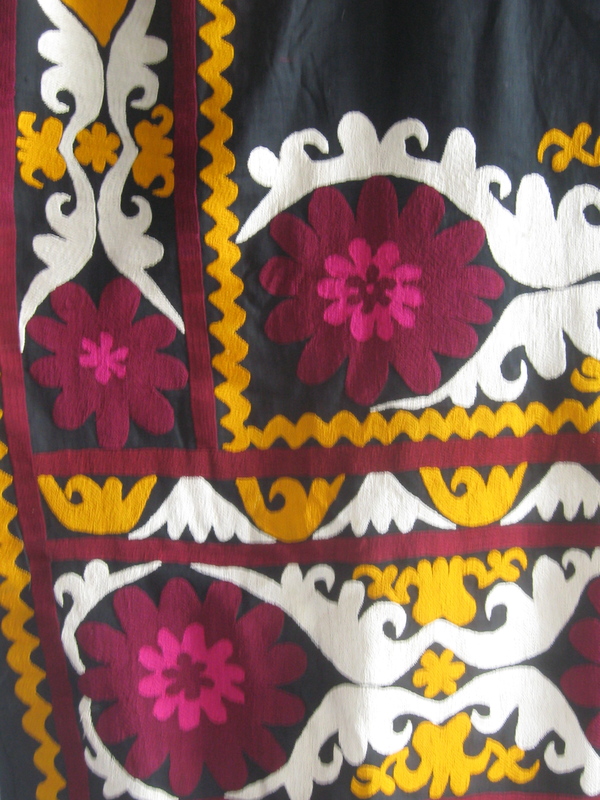 From Central Asia, these pieces would from part of a brides dowry, shows her skills at embroidery. Often used as wall hangings and bedcovers. Each region can be identified by its designs, but need to research this a bit more. Such wonderful colours, and each embroidered shape is so neatly sewn, the back is almost as neat as the front, such tiny, tiny stitches. Next Next post: Hungry or thirsty?